The UAE’s business community is set to reach the tipping point for ‘datafication’ in 2018, an information management and Big Data analytics transforming daily lives and driving new revenue streams, according to the industry experts. 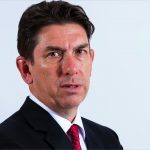 Datafication aims to encourage organisations to use a virtuous cycle of data, with applications, apps and social media to analyse and propel their digital transformation journeys. These insights foster new business models and data, from government agencies managing mega-events crowds, to healthcare providers using digital records to predict treatment effectiveness for patients. Showing the growth of Big Data analytics, data analysis and data mining ranks as the most in-demand skill by employers in the GCC. This is further expected to create about 1.3mn new jobs by 2025. “GCC organisations have stored historical data for decades. The difference now is that data analytics tools are now more affordable and easier to use than ever before. 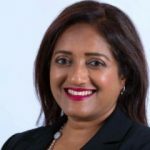 Every industry vertical can use datafication to uncover historic trends and predict customer and citizen needs, driving new digital business models and transforming daily lives,” said Savitha Bhaskar, chief operating officer of Condo Protego, the UAE-based IT infrastructure and information management consultancy and solutions provider. Led by government spending, the Middle East and Africa Big Data and analytics revenues are expected to grow by 45 per cent to US$3.2bn by 2020, according to IDC. “The UAE is at the forefront of datafication, especially with data analytics technology being embedded in the DNA of Smart City and Expo 2020 Dubai plans. Channel partners should help develop digital transformation strategies that embrace information management, with the potential to add artificial intelligence and machine learning for new insights,” added Bhaskar. Condo Protego said that there is an increasing demand for data analytics across every industry, especially government and public sector, banking and finance and education in the region. According to Dell EMC, its analytics technology aims to lead to 50 per cent revenue growth, 32 per cent faster deployment and 80 per cent storage utilisation.